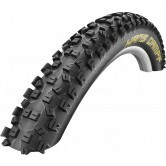 Schwalbe Nobby Nic Evolution SnakeSkin TL-Ready PaceStar Compound Folding MTB Tyre in Black 650 x 57B / 27 x 2.25"
Schwalbe Fat Albert Front Evolution SnakeSkin TL-Ready TrailStar Folding MTB Tyre 26 x 2.40"
Schwalbe Fat Albert Front Evolution SnakeSkin TL-Ready TrailStar Folding MTB Tyre in Black 26 x 2.25"
Schwalbe Nobby Nic Evolution TL-Ready GateStar (4-cross) Compound Folding MTB Tyre 26 x 2.25"
Situated at the heart of the Peak District in the UK we get to test loads of mountain bike tyres to their limit in these testing conditions. 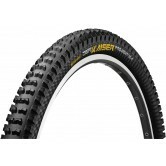 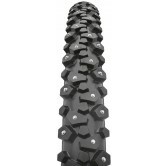 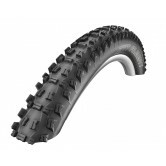 We're well placed to recommend the best mountain bike tyre for you and your style of riding and here at The Bike Factory we've got a large selction that'll have you covered. 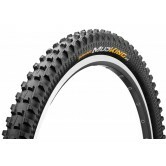 We stock mountain bike tyres in all classic and modern wheel sizes from 26" through 650b to 29" in all widths and available tread patterns and colours. Brands renowned for the mtb tyre designs such as Continental and Schwalbe provide awesome grip in all conditions and the staff here love tyres from each of our favoured brands. 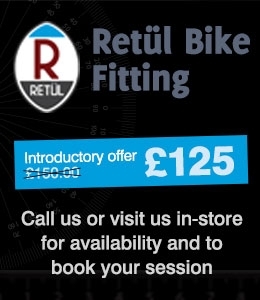 Unsure what size you need or just want a recommendation? 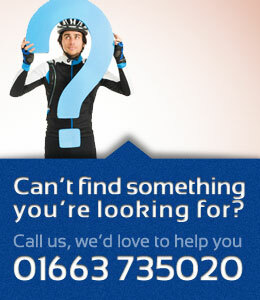 Give us a call on 01663 735020 and we'll get the right mountain bike for your riding style and local terrain.